There are some times in life where you do something, or see something that leaves an impression upon you, one which you know will stay with you forever. I have had a fascinating few days so far in Berlin, Germany. 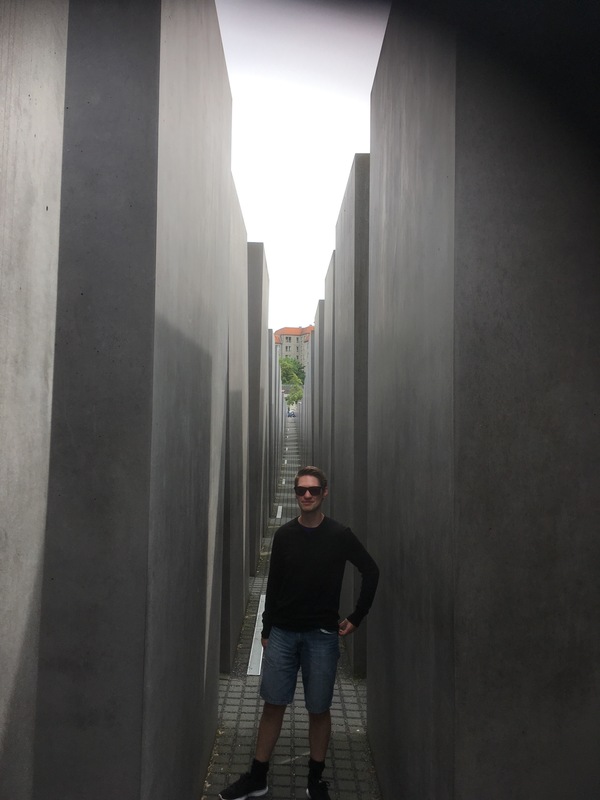 I have always been fascinated by history, I think it is so important to understand the past in order to understand the present and to shape the future, and naturally I have read and studied a lot about Berlin, but seeing it for myself definitely gives a new perspective. Towards the end of World War II, Berlin was largely destroyed – 80% of buildings were destroyed, and the other 20% badly damaged. The evidence of this war is still here today, as evidenced by the predominantly newer buildings, as well as the pre-war ones with off-colour masonry replacing war-damaged masonry, as well as thousands upon thousands of filled-in bullet holes. There is historical significance around every corner of this city – be it the platz (square) outside the university where book burnings occurred under a sickeningly accurate quote from 1820 “He who burns books will later go on to burn people”, or this car park here. 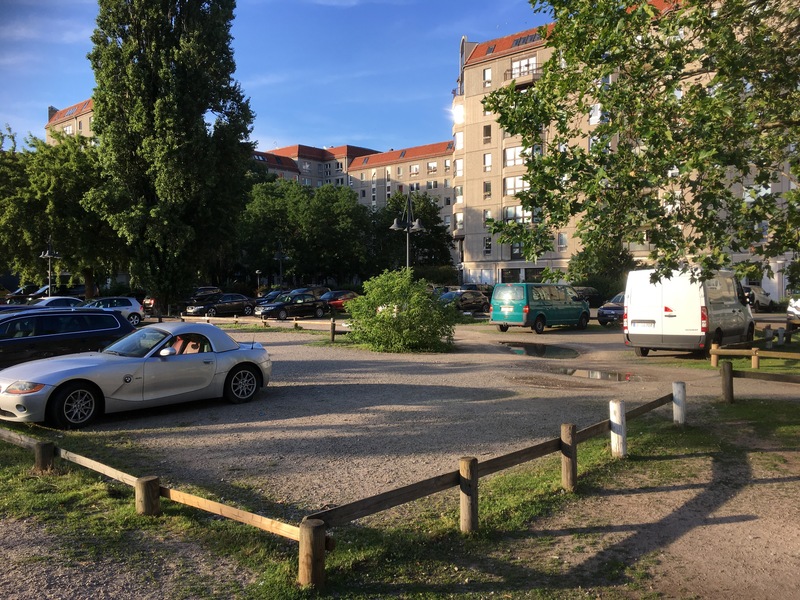 This innocuous looking car park is where Hitler committed suicide by shooting himself and taking cyanide (as he had what was later believed to be Parkinson’s disease, and was not convinced his gun firing would be accurate). No, he didn’t kill himself in the blue Toyota Yaris, rather in the Führer bunker which to this day lies 3 metres beneath this car park, inaccessible to everyone. Why? The German government fear that if they made it a free museum, it would bring people to the city and they would spend money here, and Germany does not want to be profiteering from the holocaust. There is however one prominent and impressive memorial and museum – the “Memorial to the Murdered Jews of Europe”. 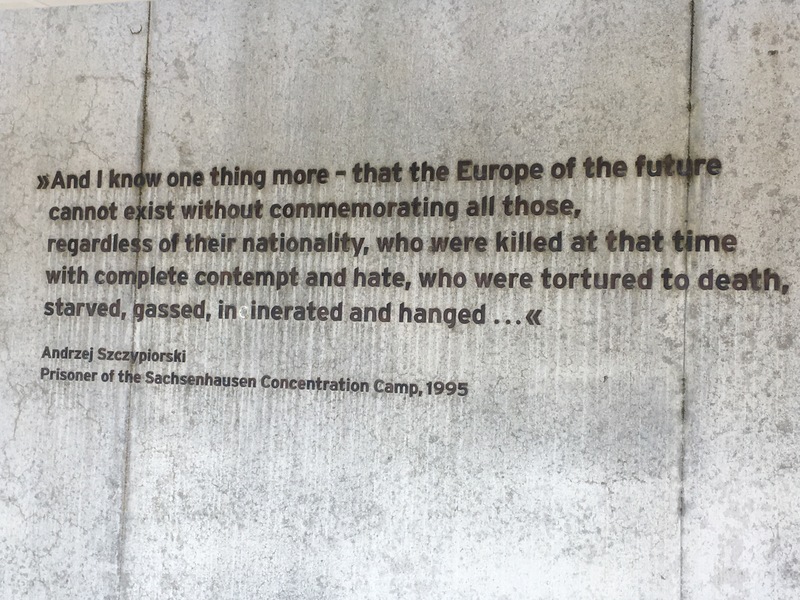 This is located right next to Germany’s parliament building and tells the honest and sobering story of the atrocities committed by Nazi-led Germany – graphically detailing the murder of 11 million people from 1933-1945. As horrific, and difficult it is to visit this museum and experience this memorial, I found it to be incredibly worthwhile. 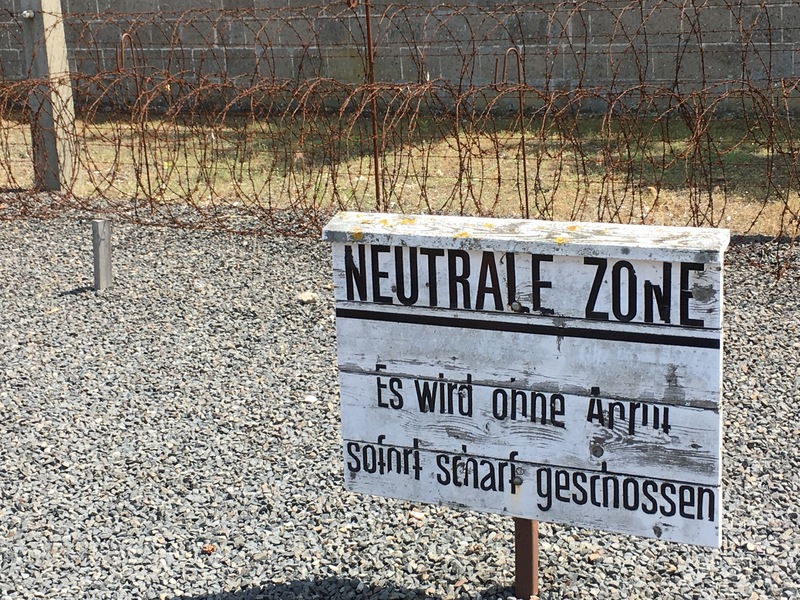 I think it demonstrates that Germany acknowledges and takes responsibility for its past, and that it has learned from it – the fact they used the word “murder” in the name shows acceptance of what it is and that there is no justification for what happened. You get the sense that a neo-Nazi uprising is incredibly unlikely here – they are telling a cautionary tale to the rest of the world and urging no one else to make such a terrible decision. 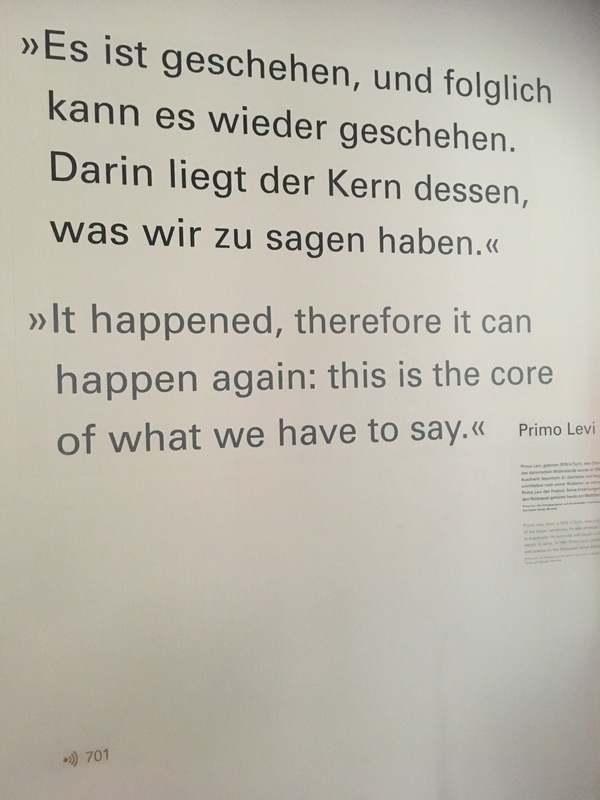 This quote in the museum is particularly telling – we like to think that we would never see an event like the holocaust again, but the fact it happened once, doesn’t put it out of the realms of possibility to happen again. Last week in Amsterdam, I visited the Anne Frank house where she wrote her famous diary, and being in the spot where she hid for two years before being arrested and sent to a concentration camp, was surreal and very moving – “may her would haves, be our opportunities”. Anne Frank’s story was one of a countless number of people’s stories. 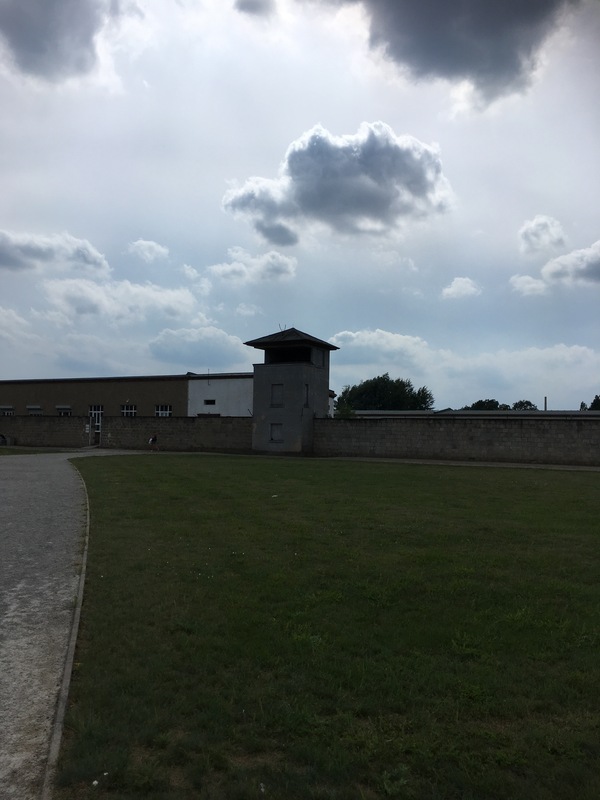 Today I visited the Sachsenhausen concentration camp about an hour outside of Berlin, and it is an experience that will stick with me forever. It is one thing to read a book or see a documentary, it is quite another to stand on the spot where history took place and contemplate what happened there at a time that is still within living memory for our grandparents’ generation. It is not fun, but it is important and incredibly worthwhile – for all of us who are European, this forms such an important part of our history, and I would strongly suggest you go – the reason it is there is not for war buffs and historians, it’s there to provide education and to try to ensure something like the holocaust never happens again. It was a strange feeling, taking the train through the woods to get there – the same train that over 200,000 people would take to be taken to the camp. 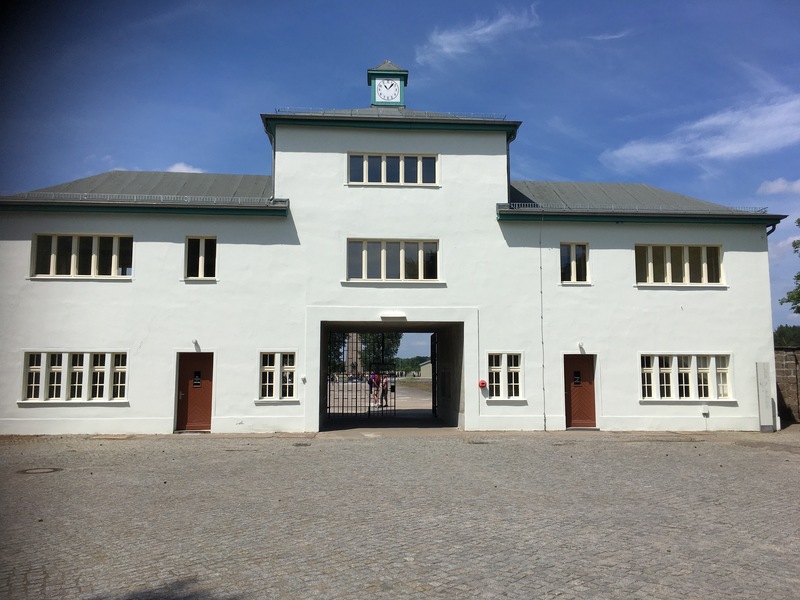 The camp isn’t in the middle of nowhere either, it is in a little German village, with houses lining the street right up to the camp – nice houses, well maintained with immaculate gardens – these immaculate houses of 2017 were originally built by the camp prisoners to house the SS. Standing at the gates here, so many others stood in front of – that is, if they weren’t shot, beaten or tortured to death first. The words on the gates read “Arbeit Macht Frei” which is German for “work sets you free” – a cynical joke as work led to your death, and only in death would you be free. Walking around the grounds, you get a sense of just how big this operation was – 200,000 Jews, gay men, communists, “asocials”, foreigners or whatever other “crime” someone had been accused of would end up here. 40,000 were murdered in the place I was standing, and thousands upon thousands more would die through the labour and terrible conditions being imposed upon them. Out of respect, I did not wish to photograph or post the killing trench or the crematorium ovens which were used, but the imagery of bodies everywhere should not require a photo of the actual equipment used. I think it is also important to remember, that Germany was a victim of the Nazi regime too. Sure, they were responsible for the holocaust, they were responsible for WWII, but let’s not forget that there were many German citizens who were the victims of genocide, in addition to countless others from the rest of the world. 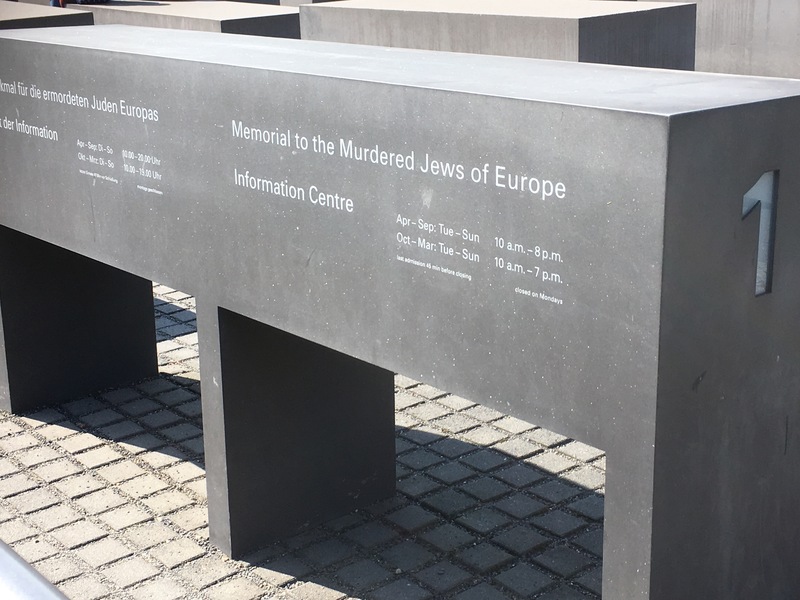 For me, as a European, it was important to see this site, to make sense of my own history, and the history of my family and friends – who hail from all over Europe. I feel that Germany has learned from this and would be unlikely to let history repeat itself (of course, the end of WWII essentially started the Cold War which saw Germany and Berlin divided by the Berlin Wall and the Iron Curtain – oppression in the east, and freedom in the west – right up until 1989, so this is all very fresh in Germany’s memory). Although the British Empire has never committed genocide on a scale such as the holocaust, they too have done some terrible things over the years, yet are not so open to talking about it and acknowledging mistakes like Germany has. The United States also have committed atrocities for which they still don’t take responsibility. Acknowledging this, is the first step to stop it happening again. We must remember this. Think about yourself – if this was the 1940s, would you have ended up here? I would have done; as someone who had been born with a disability, the Nazi regime would have wanted me eliminated from the gene pool – you can think of many examples of either yourself or people you know who would have faced the same fate if they were born in a different era. The question I posed to myself today as I appreciated the freedom that I had to walk away from the gates, “Could this happen again?” and sadly I think the answer is yes, it could. Humanity as a whole has not learned yet – some of the American President’s current policies are scarily similar to some of Hitler’s early policies. The crisis in Syria, concentration camps in North Korea, the killing fields in Cambodia show that we still haven’t learned the lessons of the past. For me, today has been a pretty challenging, informative day that will stick with me for the rest of my days. This isn’t about whether you’re interested in history or not, this is about understanding the world you live in.